Update: BP has acquired ARCO. The Atlantic Richfield Company (Arco) is an oil company operating gas stations across the USA. To find out how to apply for Arco online, use the information and link on this page to see the best way to submit an Arco application. The way you apply will be different depending on the type of job you’re looking for. The company didn’t come together all at once; the first part to be founded was the Atlantic Petroleum Storage Company, which was very quickly made part of the Standard Oil Trust by oil magnate, John D. Rockefeller. The Richfield Oil Company opened its first location much later in 1917. But the two didn’t join forces until 1966 under the leadership of Robert Orville Anderson. The united company then began its partnership with ampm convenience stores in 1978, helping to bring the cost of their fuel down compared to other oil companies. From the year 2000 up until fairly recently, the company was owned by British Petroleum (BP). BP still controls the ampm section of the company, but Arco itself has been sold to Tesoro. The headquarters of the firm are located in La Palma, California, and today it is has over 1,200 locations. The majority of the gas stations are spread across California, Nevada, Oregon, Arizona and Washington. The company prides itself on the keeping the cost of gas low by offering prepaid cards instead of credit card payments. Arco careers provide many opportunities for applicants looking for their first job as Cashiers or Customer Service Representatives. These types of roles mostly require people with outgoing personalities who are quick learners. There are also positions available for candidates with more experience in either Management positions or as Service Technicians. For Arco jobs in the corporate side of the industry you will need to go via BP careers. There are openings in a number of different departments for candidates who have the relevant experience and qualifications. The sectors that you can get involved in include Supply Chain, Finance and Accounting, Surveying and Geophysics, Administration, Human Resources and IT. How old do you have to be to work at Arco? You must be at least 18 years old or over to apply for jobs at Arco. The hours of operation vary depending on the location but keep in mind that for most positions evening and weekend work will be required. The main benefits to Arco jobs is that for store-based positions you will have a large amount of flexibility in your schedule and can often decide how many hours you want to work a week so that you can maintain a good work/life balance. For full-time employees, you may be entitled to further perks including healthcare and 401(k) retirement plans. Cashier – As a Cashier, sometimes called a Customer Service Representative, you will be expected to serve customers and perform cashiering responsibilities. In this role your will also need to maintain the store and be able to stand for long periods of time. The typical pay is between $9 and $10 an hour. Assistant Manager – As an Assistant Manager you will have duties in all aspects of the store including training staff and assisting them with their jobs. You will be the second in command to the Store Manager and help in administrative tasks such as scheduling and inventory. The normal pay is around $17/hour. Store Manager – The job description of the Store Manager involves being involved in every part of the store. Tasks include hiring, training and the ongoing management of the staff including the Assistant Managers. You will oversee the counting of the cash drawer and opening and closing procedures. The average salary is $34k/year. Service Technician – In the locations that offer services and repairs, Service Technicians carry out basic maintenance and repairs on automotive vehicles. There are job opportunities for technicians with and without experience. Working in this job you will carry out checks and services including oil changes, inspections and possibly some replacements. The salary is around $30k/year. Once you’ve submitted your Arco application make sure you’re ready for your interview by reviewing the types of questions you might be asked. What is your availability? At the gas stations they are generally looking for applications from people who are able to work evenings and weekends so check that this is the right career path for you before you apply. Do you have any customer service experience? It will help your employment chances if you do have experience, and if you do then you can talk about here. If you don’t then, describe other times when you have had to use people skills. Why did you leave your last job? It’s good to be honest, but try not to talk about any particularly negative experiences here and focus more on what you want to get out of your new job. What is your biggest weakness? When you answer this question always end with what you’re doing to improve on it, for example further training or development. Tell me about a time when you worked in a team. This would ideally be a successful instance from any of your previous jobs, but it could also be from a sports team or other team from school or college. If you’re looking for work at your local gas station, the best way is not to try and submit an Arco job application online, but instead to go down there and make a direct application in person with your resume. 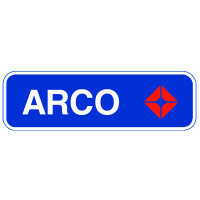 You can’t download a printable application for Arco but you can request a free application form from the manager. For corporate openings, searching for Arco jobs online will often direct you to either the BP careers page or the Tesoro careers page. To ensure that you reach Arco, the best way to apply might be to contact the head offices directly and express your interest via email and submit an online application that way. When you hand in your form in person they often decide to conduct an interview on the spot so make sure you are prepared for that. It’s important to be well presented and to have a copy of your resume with you and to have done some research on the company and the type of role that you’re applying for. The application process is usually fairly short for most candidates, going from applying to starting in sometimes less than a week. For jobs with ampm there is a separate careers section on their website which provides you with all of the information you need to apply for jobs at the stores adjoining Arco gas stations. Kangaroo Express: Visit the Kangaroo Express application. Phillips 66: For employment at Phillips 66 visit the application page. Pilot Flying J: See our guide for careers at Pilot Flying J.
Love’s: Use the Love’s job application to apply here. Sheetz: For career opportunities, fill out the Sheetz online application.